A Jerusalem court has convicted Yosef Haim Ben-David of murdering Mohammed Abu Khder, as well as a number of other crimes. The judge accepted prosecutors' claims that Ben-David led his two nephews, aged 17 and 16, in kidnapping 16-year-old Abu Khder, dousing him in gasoline and burning him to death in 2014. They then attempted to destroy any evidence of their crimes. One of the nephews received a life sentence, while the second was given 21 years in prison. While the judge rejected Ben-David's plea of insanity, he put off the sentencing in light of the defendant's mental state. 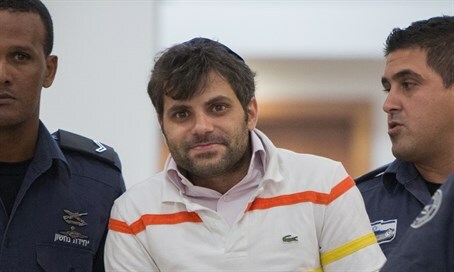 Ben-David admitted to his crime during the police interrogation, claiming that he and his nephews wanted to get "revenge" after the three teenagers were kidnapped and murdered in Gush Etzion. However, he insisted on his right to remain silent throughout the court proceedings. Mohammed's father, Hussein Abu Khder, commented on the ruling by saying, "We need justice. We must destroy their home just like they destroy Arabs' homes. I hope he remains in prison for the rest of his life and that he does not receive a pardon."